With the release of the 9th generation Intel Core processors and the new Z390 chipset that will go with it, NZXT presents its latest N7 motherboard – the NZXT N7 Z390 motherboard. The NZXT N7 Z390 motherboard is built around the latest Intel chipset that supports the 9th generation Intel Core processors. It packs all the essential features that gamers and enthusiasts need including built-in wireless connectivity, digital fan controller and integrated RGB lighting, all powered by the NZXT CAM software. The NZXT N7 Series motherboards is specifically created to match the NZXT ecosystem of products from the enthusiast cases to cooling solutions. The NZXT N7 motherboards address the demands of enthusiasts and gamers to create an aesthetically seamless build with matching colours and styling and there’s no better way to achieve such by creating a motherboard is specifically made for NZXT cases. Powered by NZXT CAM Software for monitoring, control, and tweaking. 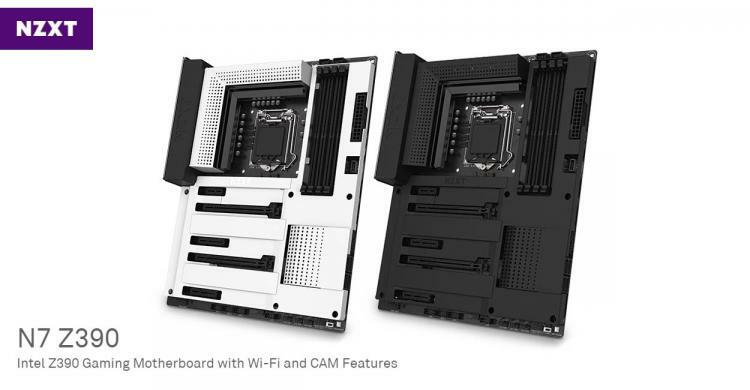 The NZXT N7 Z390 motherboard is available in matte black and matte white colours, both with an MSRP of $279.99USD. NZXT covers the N7 Z390 motherboard with a 4-year warranty. Learn more about the NZXT N7 Series motherboards here.